I want some 'combat' boots. Meaning, I want flat ankle boots that are a bit taller than normal ankle boots. Does that make sense? Not actually doing any Kombat. I think they would be perfect for winter, especially NYC. So, what do I need help with? Besides my shopping addiction and materialistic personality? Well, see for yourself. 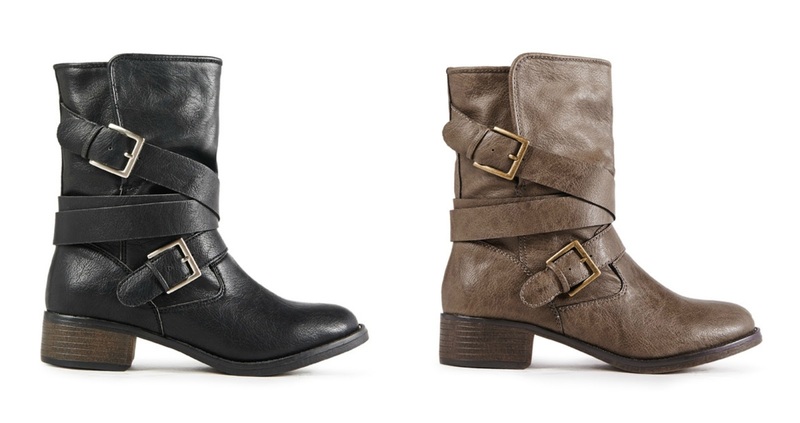 JustFab has two pairs of combat boots and I like them both. Blake and Dustin. I think I like the black Dustin's and the brown Blake's. What do you think? Brown or Black? Blake or Dustin? Please help a crazy person. I WANT COMBAT BOOTS TOO. as in i've been avoiding looking at them because i know i'll pull the trigger and buy them. i like the Blake! Is it weird that I didn't notice the boots and wanted all the scarves???? I think the Brown Dustin's are super cute, and make the biggest statement. P.S. You just sent me down the rabbit hole of scarves! I love the Dustin in BOTH colors. Get them! I like the Dustin the most but they're all cute! I love the Dustin's! In black! i think brown is more versatile, but thats an entirely personal preference. if you happen to find a pair that doesnt have a zipper, let me know! Black will probably go with more outfits....LOVE all of them...yes, I know I'm no help. I like the Dustin. I wanted some lace up boots so bad last winter and I could never find a pair I loved. I am giving up on laces and looking for zippers and buckles this year! Super cute! I agree, I definitely like the black Dustin's and the brown Blake's. I think I like the black ones a little more though! I vote dustin in either color - actually i really love them!! Oh man I love them both hahaha! I definitely vote brown but I can't decide which I like better!! I think the Blake's might be a tad more versatile but I like the edginess of the Dustin.. I think I vote Dustin haha! I'm the worst at making decisions too haha! I can't wait to bust my combat boots out! I like blake in brown and dustin in black. I've had my eye on a pair of combat-esq boots for like three years. They are waaaay too expensive which is why I've put them off. Just so cute though! Oh my, I love them both. This is hard... I think IF I had to pick, I would buy the black Blake and brown Dustin's. I like the Dustins more. Plus you don't need to worry about the laces getting all cruddy in the snow/slush in NYC! I think I like the Dustins better. Obviously you need brown AND black, duh! So maybe get the black Dustins and the brown Blakes. I think this look it totally cute on other people, I dont think it is a look I can pull off. It is along up there with vests. I cant do vests either. All I can think about is boots lately! I like both pairs and they are pretty different soo.... I say go for both :) I also think I want all of those outfits! I like the Dustin the best! So cute! I want a pair of these, too! Love the inspiration pictures.. what would we do without Pinterest to make us want to shop?! My vote is for the black Dustin's! 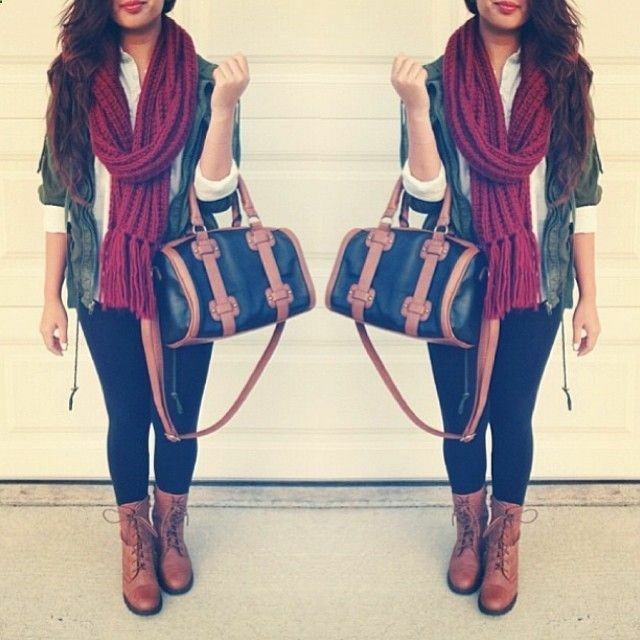 Fall fashion is my absolute favorite. I love all of those boots. They are comfortable and still have great style. You can't beat that as a woman. I like the brown blake and the black dustin. PS I want both. PPS I am so excited for your trip to NYC! You read my mind!! I was searching for boots like this last night & want the ones in this pin: http://www.pinterest.com/pin/53058101832294280/ but of course can't find the exact ones. Of the ones you picked, I love the brown Blakes! I agree with you I like the colors in the styles you like. I've been wanting a pair of these too. Why can't things we like on pinterest just appear in our closet? We are in the year 2014 why is this not a thing yet? haha I was going to say the same thing - brown blake, black dustin. So if you're only looking at one - what color goes better with your wardrobe and which color do you already have enough of in other types of boots? hahah I was JUST on justfab today searching the booties- can you please get all of them and post pix and reviews so I can decide? ha! Dustin! Ally of Life as I Know It rocks these so look at some of her posts for other ideas, too, if you need 'em. Dustin in brown! I love these kinds of boots but it's so hard to find a pair with the right "vibe" if that made sense! I love love love the Blakes! There is something about combat boots that make me feel like they should be black, but I really like the brown too. I have also been wanting a pair but not sure I can pull them off. Gah why is life so hard? Can't go wrong with any of them but I vote the Brown Blakes. Brown is more neutral than black IMHO and you can wear them with more outfits because they don't have the buckles. I would get 1 in 1 color and 1 in the other color but if you have to pick just 1...Brown Blakes all the way! I vote Dustin! Either color. I like your idea of getting one style in brown and one in black - that way you can't go wrong!!! Brown Blake! Ohhhh that kinda doesn't sound right ;-) I definitely see a trend with skinnies, combat boots and a big scarf for the Fall right? I only like the combat booties if they have laces. So I am going with the top ones! But I LOVE how other people style them! They are adorable! Get both the Dustins!! If you must choose then the brown because its just yummy! Yessss, you should get some!! I've had my Steve Madden Troopa boots for years now (5??? maybe?) and I love them so much. They are this kind in the cognac: http://www.stevemadden.com/product/TROOPA/158379.uts . I agree with you on the color/boot choices! It is so hard to find ones that hit just right on the calf since we all have different heights. I found some on clearance recently and got so excited! I really like the Blake boots. Dustin! Love both colors actually. And these pictures are awesome...I want fall. Now!!! Okay, I'm a Fab-aholic so I say get both! Hahaha.